the velvet bird: A Winner!! Before I announce the winner of the grand giveaway, I would like to introduce my newest friend. A very pretty one at that if I do say so myself. This picture is deceiving and makes this guy look bigger than he is, my hands are really small (wedding ring size 4). I am going to go ahead and list this guy and the owl in the shop. The other characters I'm working on are much more involved and possibly too complicated (and ridiculously time consuming) for such a little size, but where's the fun in common sense? I want to thank everyone for leaving such funny and interesting comments on the giveaway post. It was most entertaining to read all of them. I must apologize for my delay in announcing a winner (chosen by random.org) but I became sidetracked by making new creatures, baking cupcakes, and today I've been working on a new dress. So at least I have a good excuse. Oh yeah, the winner is Teresa, congratulations! And thank you again everyone! I need to do this more often, it's fun!!! 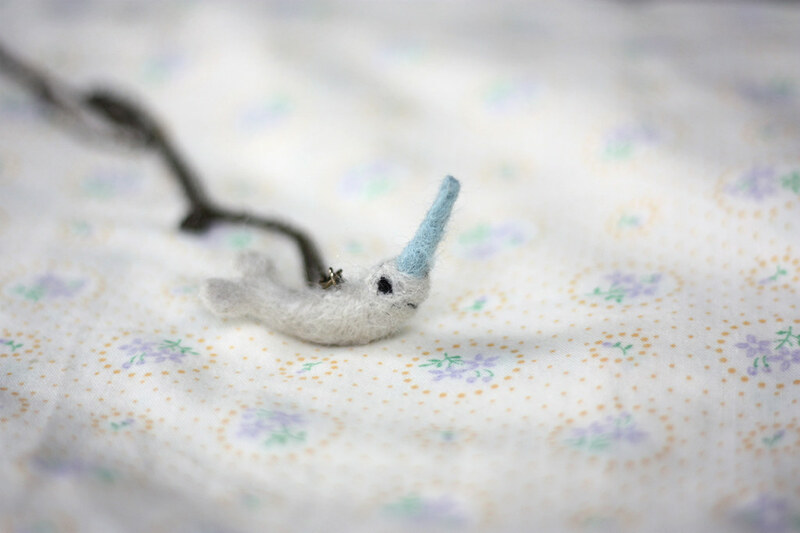 That narwhal is all kinds of awesome. Gorgeous! Still, I can't get over the owlie! I am incurably in love! aww thats so cute! Congrats to her for winning. Vanessa, that is the cutest thing I have ever seen!!!!! haha..that is so cute. what is it made of? hi! just came across your blog. love your style :) i'm living in savannah also! i didn't know they were real! yours is the best i've seen! so CUTE! Will you be in Effingham County? Or watching fireworks in Savannah on the 4th, perhaps? Because I will be & I need you to show me all the hotspots for thrifting. And I must meet these goaties. i absolutely love this little guy. 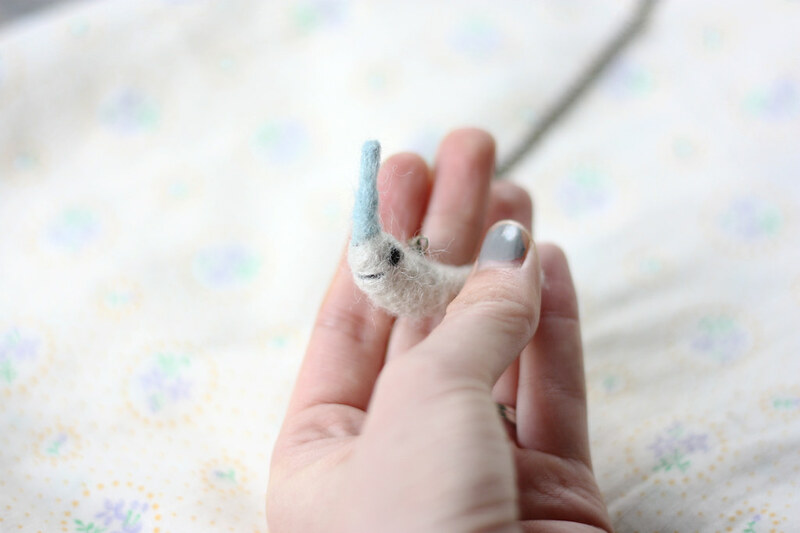 when i have a spare $20, i'm buying one off your adorable etsy.